Crazy Daisy Bar Prague is located in Prague. 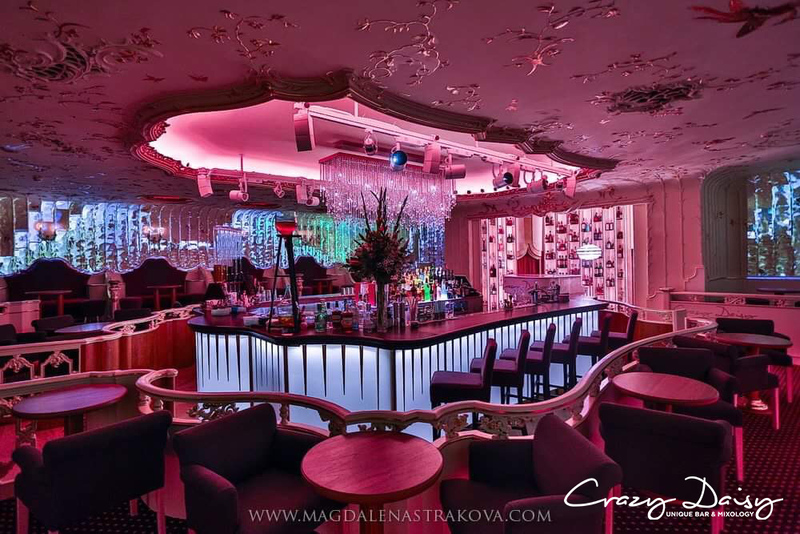 Add Crazy Daisy Bar Prague and other attractions to your Prague trip itinerary using our Prague trip itinerary planner. Very nice bar, with extremely interesting house specials. I can recommend the "Palovka". Modern Ambiente and general relaxed atmosphere. Persuaded to go in here by the promise of dancing and a 'treat' with our drink. No dancing unfortunately but there was music. The treat was a couple of cheese sticks, which, for the price of the drinks, could have been better. It was about midnight and I'm not sure if it was going to get busier later but it didn't have much atmosphere when we were there. Ordered a dark and stormy and it was alright but nothing on the one we had at the rum bar up the road earlier on for half the cost! Some other cocktails that came out looked nice, though! Such a unique and cool cocktail bar. The staff are super friendly and knowledgeable and the design is beautiful. It has video mapping on the walls which gives the place a very unique aspect. The cocktails are very different to anywhere I've been and are based on places around Prague. I can definitely recommend one called the airport. This cocktail bar is really a must visit place. The entrance is hidden in a small passage from Vaclavske namesti towards Jungmannovo namesti, the bar is located downstairs. There are no windows, but walls show very cool picture installations made from light which keep changing during the evening. The interior is fascinating and unique. Crazy Daisy was opened in the premises of a former cabaret place. However, now it looks only like a fancy cocktail bar, nothing vulgar in the atmosphere. Apparently, the main bartender is very well known in Czech Republic and one of the best in the industry. The cocktail menu is very creative and well thought out. I would recommend to stop by at this bar at least once to try it and see. Every day, we help thousands of travelers plan great vacations. Here are some tips on how to use your Listing Page to attract more travelers to your business - Crazy Daisy Bar Prague. Promote your permanent link - https://www.inspirock.com/czech-republic/prague/crazy-daisy-bar-prague-a8471640307 - on your website, your blog, and social media. When a traveler builds a plan from this page, the itinerary automatically includes Crazy Daisy Bar Prague. This is a great way for travelers looking for a great vacation in your city or country to also experience Crazy Daisy Bar Prague. Promoting your link also lets your audience know that you are featured on a rapidly growing travel site. In addition, the more this page is used, the more we will promote Crazy Daisy Bar Prague to other Inspirock users. 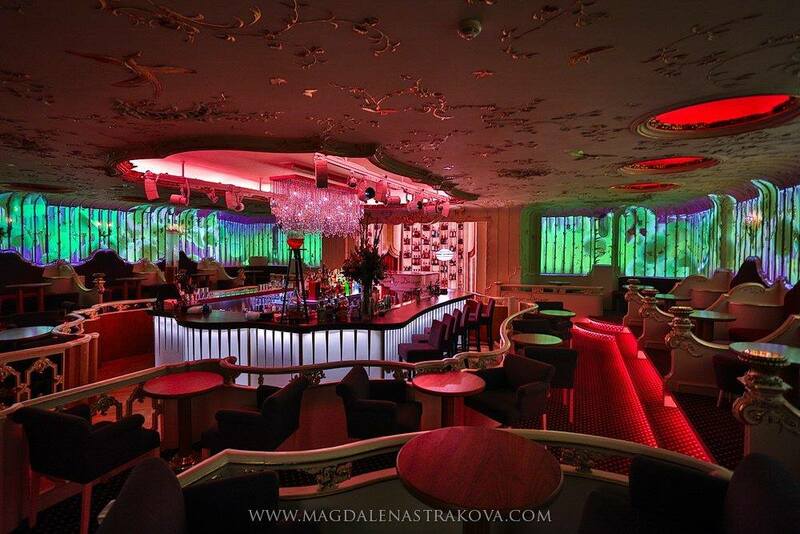 For best results, use the customized Trip Planning Widget for Crazy Daisy Bar Prague on your website. It has all the advantages mentioned above, plus users to your site can conveniently access it directly on your site. Visitors to your site will appreciate you offering them help with planning their vacation. Setting this up takes just a few minutes - Click here for instructions.